Middle and high school students getting in trouble during the last week of school. Trying to start fights with racial slurs, sending photos of guns. Alcohol - four people picked up who couldn't walk or take care of themselves because of extreme intoxication. DUI - one was speeding and failed to yield, two others were hit and run situations. 06-17 Officer responded to a domestic violence call with verbal disturbance. When he arrived, the door was open and a male was inside calling for help. Officer entered and found a suicidal person in a bathtub full of water, holding a knife. 06-17 Responding to a call for a welfare check at a city park, officer found a severely intoxicated person crawling on hands and knees. 06-17 Report of a disturbance in progress. Dispatch had advised that an irate and uncooperative caller reported that a female was "breaking her door down." Deputies discovered that a social media dispute had led to a female kicking the door. 06-17 Adult daughter assaults mother. Mother at first tries to cover for daughter but then decides to press charges. 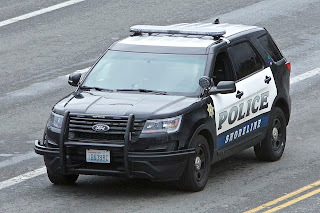 06-18 Arrest made for hit and run DUI at Fred Meyer. 06-18 Speeder on Aurora at 1:30am at first failed to stop for police. After stopping was arrested for suspicion of DUI. 06-18 Arrested a person in a garage on 18th NE at 4am for investigation of burglary. 06-18 Computer taken from City vehicle in overnight car prowl. 06-18 Wells Fargo investigator turned over evidence of ongoing check fraud by a known suspect. 06-19 Woman reports that ex-husband is stalking her at her job. 06-19 Shoplifter arrested at Marshalls. 06-19 Father slaps daughter in face; charged with child abuse. 06-20 Woman who left children alone in apartment charged with child neglect. 06-20 Resident who was feeling suicidal called for help and was transported to hospital. 06-22 Multiple tags and graffiti at Echo Lake Park bathroom. 06-22 Individual drinking at bus shelter unable to talk or walk. 06-23 Armed individual making threats to kill at Viking Sports Bar. 06-23 Welfare check found two individuals passed out; drugs on premises. Sounds like the ongoing debate about dog poop in refuse cans on Nextdoor escalated quickly!